In Europe, more than 73 million adults are illiterate and one in five 15-year-olds has poor reading skills. 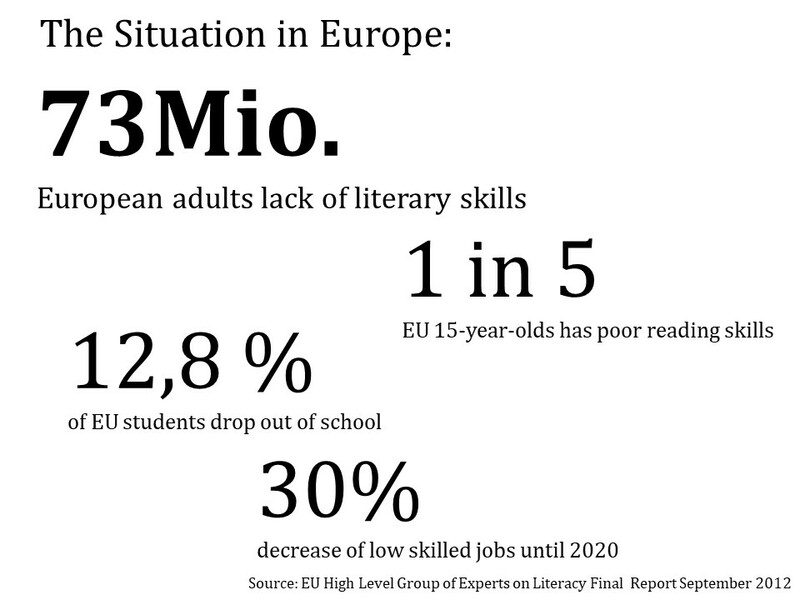 12.8 % of EU students drop out of school, which will lead to a 30 % increase in low-skilled jobs by 2020 (EU High Level Group of Experts on Literacy, Final Report September 2012). When it comes to progress towards the 2020 benchmark of less than 15% low achievers (Education and Training 2020), the EU as a whole is seriously lagging behind and has taken a step backward, according to PISA 2015 and compared to the PISA 2012 results.